I got very behind in posting pictures of our weeks at the end of December and the first 2/3 of January. I haven't taken any on my real camera, so I need to put that on my to do list for the end of the month. Take real pictures. The week after Christmas we focused on A New Coat for Anna for literature. (Yes, we did school some days while other kids were on break!) 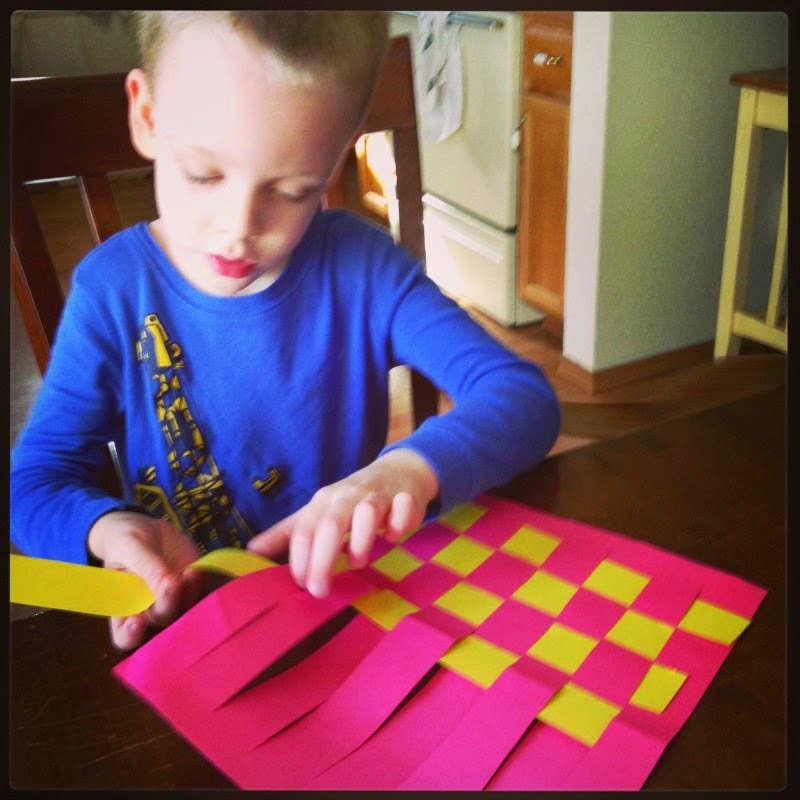 I taught Bubby to weave paper to go along with the concept of weaving that was presented in the book because I thought that would be the easiest thing to do. I remember making placemats like this in elementary school. 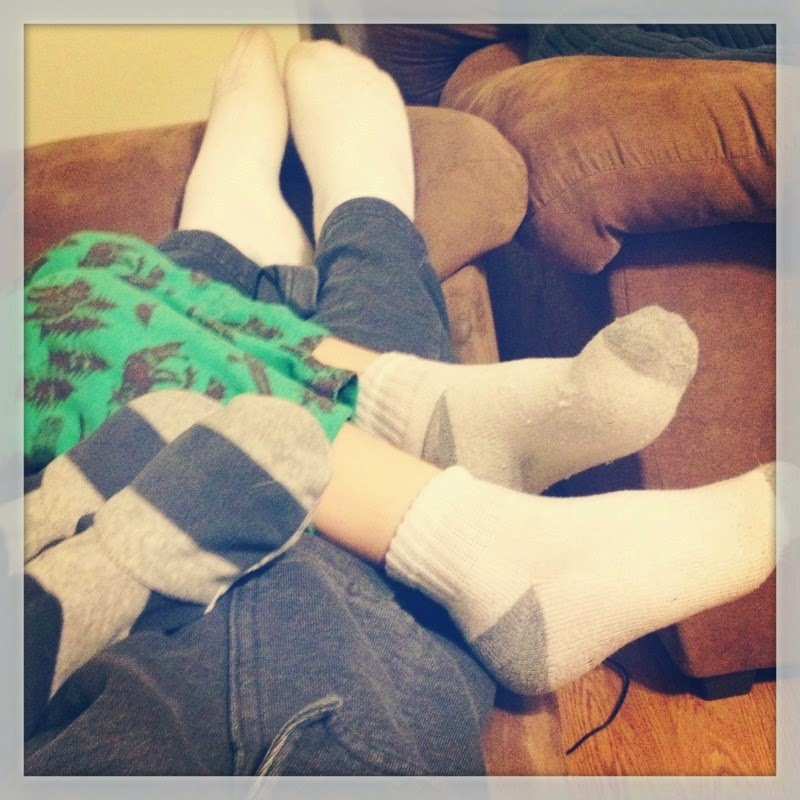 I don't remember what we were doing here - except both boys were snuggled up on me on the couch, which was lovely. 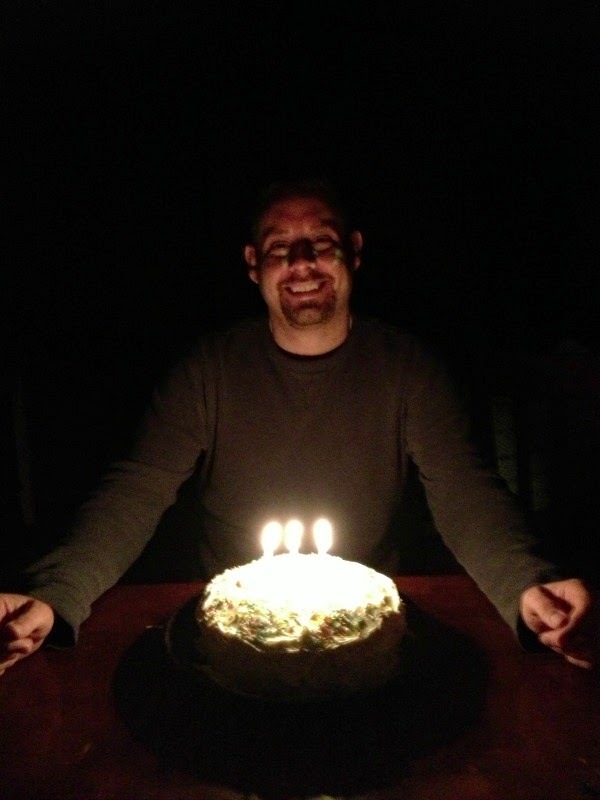 The Hubs celebrated a birthday. We made him a cake. 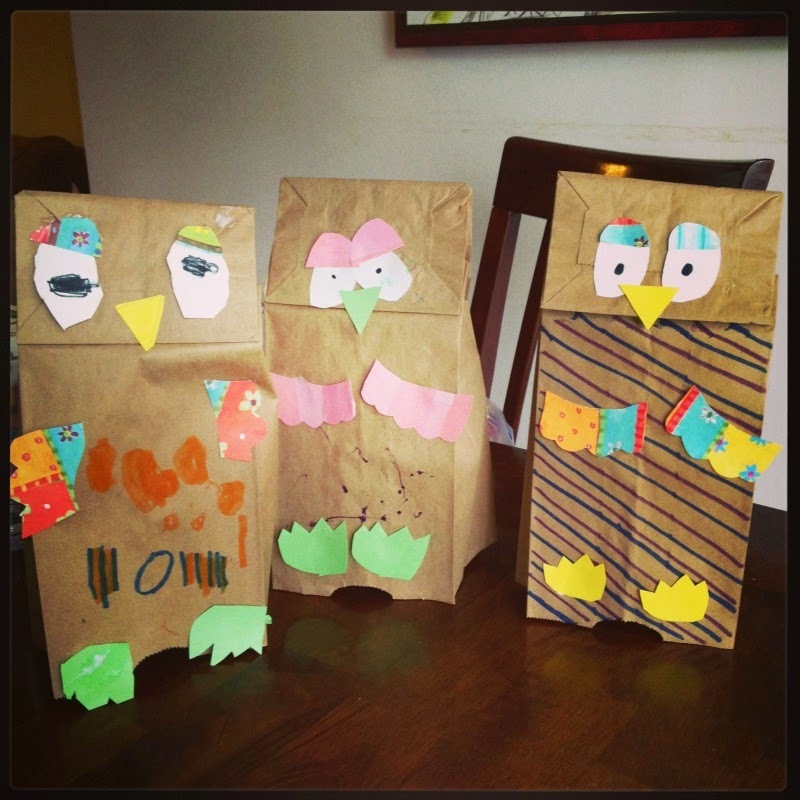 We made paper bag owls to go with Owl Moon. I forgot to have us make ears for them, so Bugaboo keeps calling them birdies. 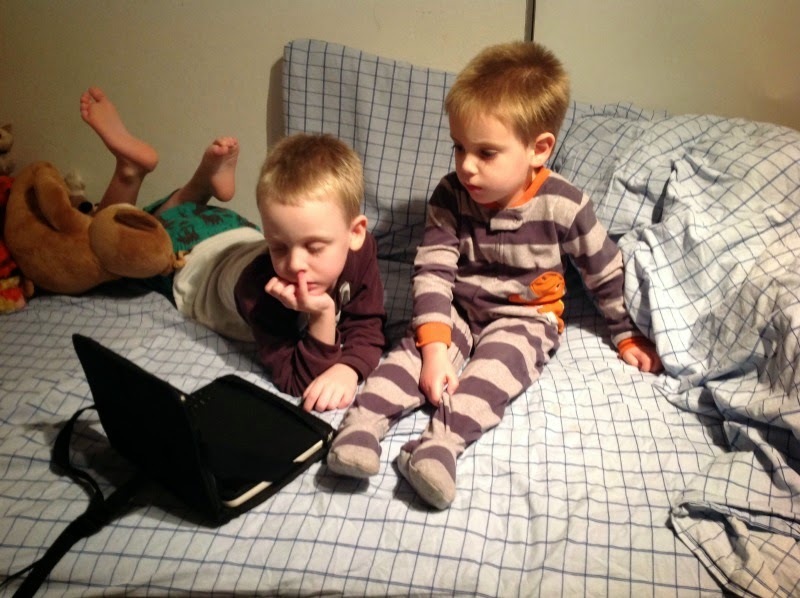 On Golden Globe night I took out our portable DVD player we use in the car for trips to the Children's Hospital or to Illinois and let the boys watch a movie in their room. Because we are a one TV house. And Amy and Tina were hosting. 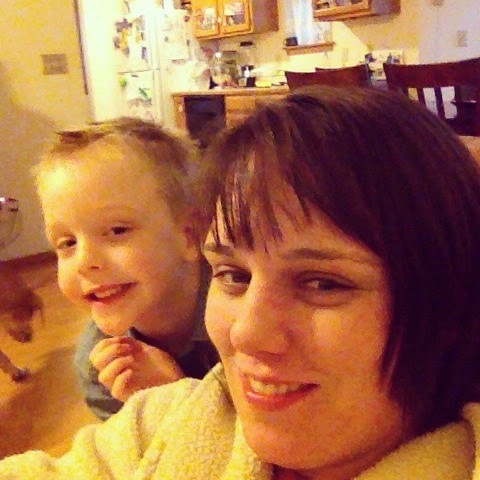 And it started at 7:00 CST, which isn't quite bedtime. I felt a little mom guilt from doing this, but not much. 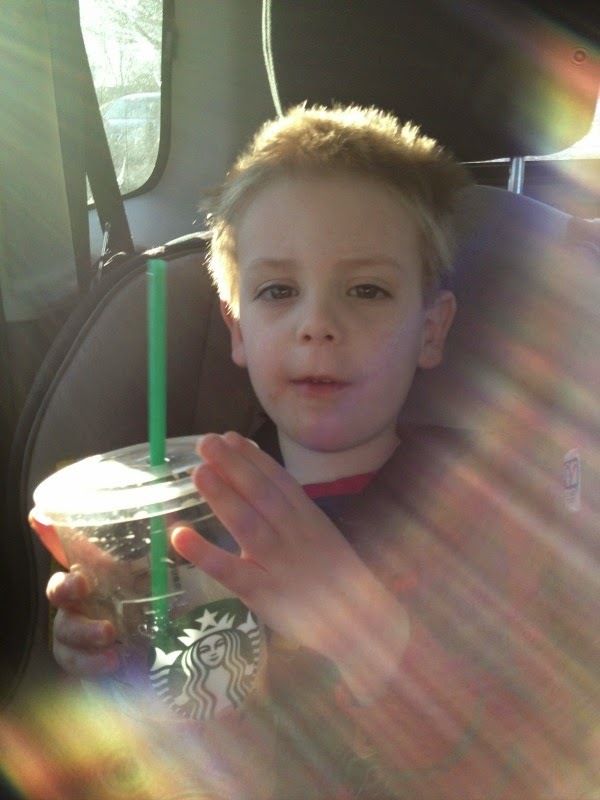 Sitting with this sweet boy, sharing my coffee, when Bubby had to be at basketball early for pictures. Bug kept saying, "I drink ALL the coffee!" We had beautiful weather recently, and it happened to correspond with my birthday. 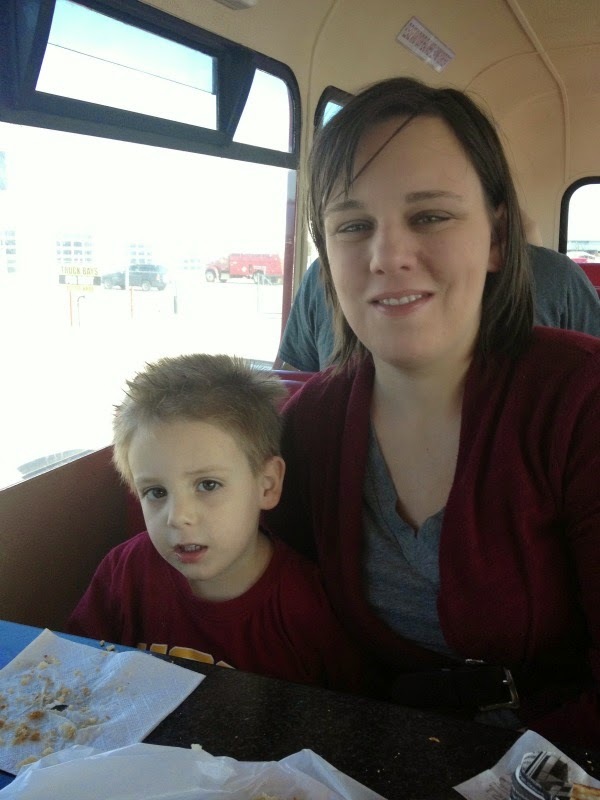 On our way to taking the boys to a basketball game, we tried out a food truck place that serves British food and has a double-decker bus on which you can eat your lunch. The boys and I had the bangers and mash. Bubby was not thrilled about me taking his picture. He was also a little disappointed that the bus didn't go anywhere. 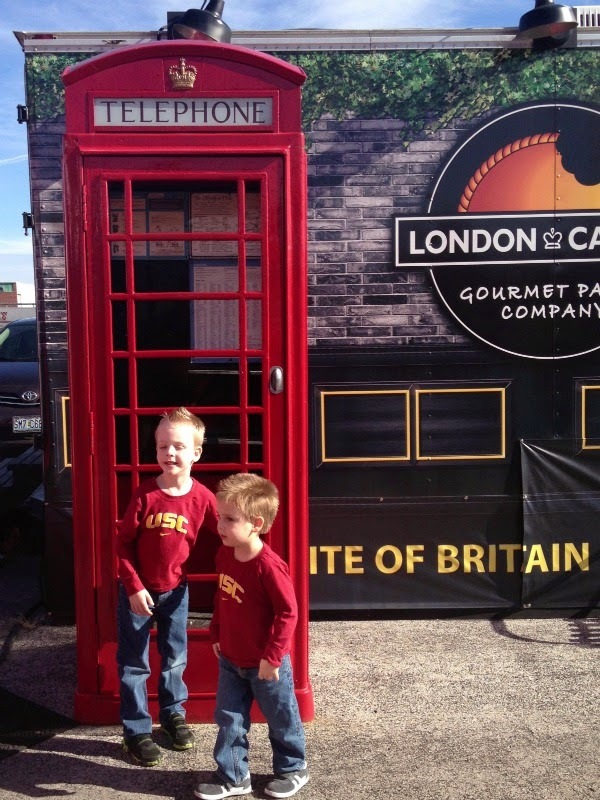 I explained to the iPhone generation what a telephone booth was. After a wonderful birthday, I was able to get in my pajamas and scruffy, comfortable bathrobe and relax for the rest of the evening. 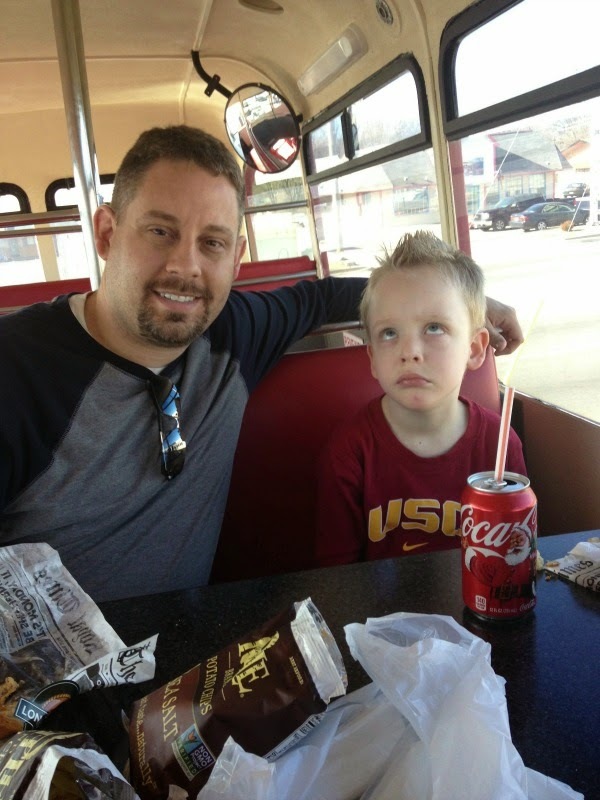 And this same child who didn't want his picture taken on the bus was all about getting in on a selfie. I am so glad you had a nice birthday! You will have to let me know where that food truck is! It's just down the road from EU - on the other side of the street.